Cinnamon spice is best known for its rich flavor and medicinal properties. But did you know that it can also help you lose weight? Keep reading to learn more about the benefits, uses and helpful tips regarding cinnamon for losing weight effectively. Cinnamon definitely helps with weight due to its properties that are explained below. Cinnamon not only helps to burn the excess fat collected in the body but also prevents its further accumulation. It increases the body heat thereby speeds up the metabolism. It reduces the cholesterol level, particularly triglycerides, LDL (bad cholesterol) and total cholesterol and also helps for good cholesterol (HDL) to lose weight. It regulates the blood sugar levels by increasing the insulin action and thereby controls both diabetes and body weight. It is rich in polyphenols which promotes weight loss in the body and is also effective in losing belly fat. It contains a compound called mineral chromium that helps to control the appetite and aid weight loss by stabilizing the blood glucose levels. It contains a compound called hydroxycinnamaldehyde which helps to fight against inflammation and to reduce the levels of harmful fats in the blood. It contains powerful anti-bacterial properties that help to get rid of the bad bacteria in the stomach for easy digestion to lose weight. It contains all the essential vitamins, minerals, fiber, iron, calcium, etc. which helps to boost up the metabolism, increases the immunity system and improves memory. Take 2 teaspoons of ground cinnamon (or 2 cinnamon sticks) and add this to a cup of water. Bring to the boil before allowing to cool for about 15 minutes. Drain the tea and drink. The best time to drink this cinnamon tea for weight loss is early in the morning with an empty stomach i.e. before taking breakfast to speed up the metabolism. You can also add dalchini for weight loss tea. This method is used for the people who don’t enjoy drinking this cinnamon. Take 2 teaspoons of cinnamon and sprinkle on food like chopped apples, apple sauce, chopped banana and in oatmeal. For best results, sprinkle some of this powder on the breakfast in the morning and at night before going to bed. Some ideas are sprinkling it on the whole wheat toast with fresh preserves, on sweet potatoes with maple sugar or on chopped fruits. Add a teaspoon or two of Ceylon cinnamon powder to a cup of warm milk, hot chocolate or cappuccino. Stir it well and drink regularly. You can combine this with other natural foods like honey, ginger, lemon juice, etc. You can also add this cinnamon to any smoothies and fruit juices. Boil a cup of water for few minutes and then add a teaspoon of cinnamon powder or 2 cinnamon sticks. Stir it well and boil for another few minutes. Allow to cool for few minutes and then strain. Now add a tablespoon of honey and mix well. Regular intake of this water early in the morning and before going to bed shows the best results. Take 1/2 a gallon of filtered water (or a pitcher), 2 apples and a teaspoon of cinnamon. Peel and core one apple and cut into quarter inch thick pieces before mashing up. Collect the juice and add to the water along with a teaspoon of cinnamon. Core the second apple but leave the skin on and slice into small pieces. Add to the water and mix it well. Raspberries or fresh lemon etc can be added for extra flavour. Take a banana, a teaspoon of cinnamon powder, 1/4 cup of raw oats, 1/2 cup of skimmed milk, a cup of plain, unflavored and low fat yogurt and 1 – 2 teaspoon of white or brown sugar. Blend all the above ingredients (except cinnamon powder) to make a smoothie. Garnish with a sprinkle of cinnamon powder giving a natural sweetness. You can also add a spoon of aloe vera to the recipe for added benefit. Take a cinnamon stick and 1/2 apple. Cut the apple into thin slices, put in a pitcher and add the cinnamon stick. Cover about 1/2 with ice and 1/2 with water. Stir it well and chill in the fridge. This water can lasts for about 24 hours when in the fridge. The U.S Department of Agriculture (USDA) states that consuming a half to 2 teaspoons of cinnamon powder with your meals everyday will boost the metabolism by 20 times and makes the fat cells more responsive to insulin in the body. This burns more calories and contributes to weight loss and reduces type – 2 diabetes. Here are few ways which we can use cinnamon in our diet. Put 2 slices of bread in the toaster. When it is toasted, take a banana and mash it by mixing 1/2 a teaspoon of cinnamon powder. Apply like butter over the toasted bread and enjoy. Finely chop an onion and few garlic cloves. Fry in oil for few minutes. Add half a teaspoon of cinnamon, sweet potatoes and a pinch of chilli and ginger powder. Cook and mix for about 3 – 5 minutes. Pour 100 ml each of coconut milk and chicken stock. Simmer for 6 – 8 minutes and blend thoroughly. Add a tablespoon of cinnamon, 75 grams of quinoa and 150ml of water to a pan. Stir it well and add 110 ml of coconut water and simmer for another 10 minutes. Add 1/2 teaspoon of honey, handful of chopped nuts, berries, apples into it and mix it well. Cook for another 10 minutes and remove from the flame. According to US National Health Service, you should not take more than one teaspoon (5g) of cinnamon per day for 6 weeks or for a lesser period of time. You can take it for about 5 days with a 2 days rest in a week and then repeat the cycle. Ceylon cinnamon has a very little amount of coumarin, so you can usually double this dosage. 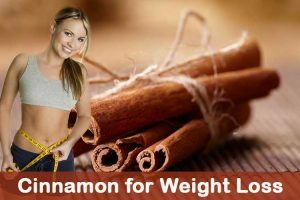 Cinnamon pills for weight loss are also effective to shed the extra pounds from the body. Research stated that those who consume 2000 mg of cinnamon daily will lose 300% more weight and 500% more belly fat than those that don’t. Take 4 pills each of 500mg daily to lose weight. It is best to take one pill with breakfast, two pills with lunch and the final one with dinner. It may produce some side effects to those using medications like blood thinners or hormonal drugs and also people suffering from liver diseases. Ensure to consult a heath care provider. Consuming 1/2 a teaspoon of cinnamon powder on daily basis has proved to lower the cholesterol levels in the body. You can increase the quantity up to 2 teaspoons a day. There are three types of cinnamon: Cassia cinnamon, Indonesian cinnamon and Ceylon cinnamon but Ceylon cinnamon is the best one to take. Make sure that you don’t have any allergies related to cinnamon. Always use a high quality fresh cinnamon for best results. You also have to follow a healthy, balanced diet and regular exercise to lose weight. It also helps to prevent many health ailments like arthritis, toothache, heart diseases, diarrhea, UTI and bladder infections, headaches and migraine, influenza and cold, improves digestion process, prevents bad breath, hair problems, boosts memory and improves cognitive abilities. Follow these precautions to prevent any side effects of cinnamon on your body. Consult your doctor if you’re using any medications. It has blood – thinning or anti-clotting properties and it can interact with some prescribed medications. Pregnant women’s, breastfeeding moms and children should consult the doctor before using. When taken in excess, it will suppress the central nervous system and have a toxic effect on the liver. Taking this spice in excess amount in any form will cause tongue inflammation, irritation of stomach, intestines, skin, mucous membranes or urinary tract, mouth sores, dizziness, drowsiness, vomiting and diarrhea. It also lowers the blood sugar levels and results in blood clotting. Have you tried any home remedies to lose weight? Or do you know any other ways of using cinnamon for losing some pounds? Please share your experience with us. – Exercise daily for at least 30 minutes. – Eating a nutrient rich diet. – Avoid consuming calorie rich, oily and fatty foods. – Include fibre rich fruits and veggies in your daily diet. – Prefer consuming sea food over red meat and poultry. – Drink plenty of water to stay hydrated and flush out toxins. – Consume your dinner before 7:00 so that your stomach finishes the digestion process before sleeping. – Avoid consuming protein food during dinner. Make sure to consume light food that is easily digestible for dinner. – Consume your maximum calories recommended for the day during breakfast. Can we make cinammon and honey mixture and store in fridge.. how long can we store? Can Cinnamon with lavang powder be taken on empty stomach. Yes, Drinking on empty stomach is good. Mix them in a glass of warm water and drink it. Yes, it will work. Cinnamon burns the excess fat accumulated in the body. It suppresses your appetite and makes you feel satiated. How many pounds do you lose when you drink a cup of only cinnamon and water mixed together? It is difficult to tell the exact time as everyone is different. Apart from drinking cinnamon water, exercise regularly and consume nutrition balanced diet for effective results. It is really hard to tell the exact weight as everyone’s fat burning capability is different. For maximum results apart from consuming cinnamon drink, exercise daily for at least 30 minutes and eat a well balanced nutritional diet. is it possible to get a flat tummy ?? because I am using cinnamon and lemon juice so how long will it take me to get want I want?? Yes, it can. It is difficult to tell the exact time as everyone is different. Apart from drinking cinnamon – lemon juice, exercise and eat a nutritional diet for effective and quick results. I put a tablespoon of ceylon cinnamon in my daily mixture of turmeric, ginger,and a pinch of black pepper and let it heat on a medium heat. I then shut off the heat, cover and let it stand for 10 minutes. All the cinnamon went to the bottom of my cup, after I poured it in. Should I have waited and put the cinnamon, after my mix was heated? You can shake well and consume it. Which products you are using? If possible consider using natural and organic ingredients. The fertilizers or artificial colours added in commercial products can also cause abdomen pain. Initially, start by taking very small amounts of the ingredients then later on slowly increase the dose. This would help your body adjust to new habits. I used two tablespoons of ground cinnamon on one liter of boiling water and a teaspoon of honey and divide it into equal and use one part in the morning on an empty stomach and the other part 30mins before going to bed at night. My stomach begins to swoll just the first day of my ttaking it. What am I doing wrong? We recommend to make fresh in the night. Apart from that make sure to exercise, drink plenty of water and eat a nutritional diet. Yes, apart from using cinnamon for weight loss, you have to exercise regularly and control the calorie count in your daily food. can u gide me about side effect in breast feeding? Cinnamon consumption is generally safe during breastfeeding if taken in very small amounts. It is recommended to avoid as it more consumption can lower sugar levels in the body. Can we directly chew the cinnamon sticks rather than having it powdered and adding in water or something ? If you can withstand the taste, then you can. Yes, you can but warm water will provide effective results. Can u tell me which is d right time to take green tea? You can drink it 30 minutes after your meals. Limit the consumption of green tea to 3 -4 cups per day. A cup should be fine. No, don’t use sugar. You can add honey for taste. You can drink it while lukewarm. You can discontinue but make sure to exercise regularly and reduce calorie intake. I just read that adding honey to warm water kills the enzymes. So after boiling cinnamon in hot water and then letting that water cool i add honey to it. Should i drink warm water or room temperature would do? Adding honey to warm/hot water doesn’t kill the enzymes. So you can drink warm water. Can I drink 2 tablespoon of cinnamon in a cup of hot water after my morning exercise ? Which one will be the best?1 or 2 tablespoon? Yes, you can. You can try either 1 or 2 teaspoons of cinnamon depending on how you can handle the taste. The effectiveness would be more for 2 teaspoons. Does this have the same effect as MCT oil or could the two be mixed or taken on daily bases? Yes, MCT has the same effects. It can be mixed with cinnamon and taken on daily basis. Whatever method you try, without proper nutrition diet and exercising it cannot provide results. The above mentioned remedies are just to boost your weight loss regimen. You can try means like food or water as per your convenience. The results depend on your fat burning capacity. So, try to follow the method with some patience until you achieve the results. Do we have to Ceylon cinnamon cause I don’t have it?? If you don’t have Ceylon cinnamon, then you can use cassia cinnamon or Indonesia cinnamon. You can take it once in a day before breakfast on an empty stomach. 1/2 teaspoon of cinnamon powder is safe to consume daily. I have been taking cinnamon powder half a teaspoon in warm water along with husk one table spoon, before breakfast.I am also following 1300 calories diet for a month but there is no weight reduction.Please suggest. Apart from what you are following, exercise regularly for 1 hour and brisk walk for at least 15 minutes. Increase fiber intake in your diet and drink plenty of water to flush out the toxins. I want to loose 15kg. Howlong time i have to take this drink to loose weight. Can i use patanjali honey in this recipe. It is difficult to tell the exact time as it depends on your carb intake, metabolism and physical activity. So, try it regularly with some patience until you achieve results. Yes, you can use pathanjali honey if it pure and organic. 1 teaspoon of cinnamon consumption for up to 6 weeks is considered safe. You can take a gap of 1 – 2 weeks and start again the course of 6 weeks. Pls tell me what you think about my drink. 250ml of hot water added with 2 small Cinnamon sticks , chopped ginger & garlic and 1tps turmeric powder. After cooled I add 1tsp Apple vinigar and 1tsp of organic Honey. Kindly suggest me whether it’s good or any changes to be done. Yes, it’s good you can try it for losing weight. Apart from that we recommend regular exercising and eating a nutritional food. I started to drink lemon juice n cinnamon ground and exercise for 2 hours.I can see the result,is it ok if I can add with vinegar? Yes, you can add apple cider vinegar into the lemon and cinnamon. I have notice since using this my appetite has been suppressed and I want to eat smaller portion and I am not much hungry as before , as for the exercise I don’t because of my work schedule . I don’t want to lose weight–just lower my glucose. I sprinkle Ceylon cinnamon on my English muffin every morning and then have eggs and juice. Is this good enough or do I need water? That should be fine. However reduce sugar, gluten, artificial sweeteners and other foods that can increase your glucose content. Make sure to drink plenty of water. I HV pcod problem from 3 to 4 months.i want to lose my weight.i am taking Ayurveda medicine treatment of pcod.can I take this cinnamon lukewarm water drink with my medicines.can I take this drink before sleeping time.?? Consult your doctor before trying out the remedy to know if the medicine interacts with the ingredients. It is not harmful to take other forms of cinnamon other than Ceylon. However, Ceylon cinnamon contains medicinal and therapeutic properties than other forms. So, it is better to use only Ceylon cinnamon. Is it possible to take it in the morning before breakfast and in the evening before dinner? Yes, you can take it once in the morning before breakfast and again before dinner. Instead of directly eating cinnamon sticks, it is better to make a tea and consume it. You can make a tea of 2 cinnamon sticks and drink it on an empty stomach. continuously,, just one eighth of a tsp. in my buckwheat porridge in the am. Is this OK! ? have no gallbladder. I like the cin. p. for its antibact.. and blood sug. stabilising effects. 2 days ago, accidentally, I had more than i tsp. ( ?? 3), and was rather unwell-loose stools, dizzy, very low blood pressure, and very high pulse. I am on a blood thinner and px. for heart rythymn. Some issues with acid reflux. Leaving my proton pump inhibitor for the moment.Was very nauseous.. Fairly OK now. After drinking cinnamon water, can I start exercise imidiately or I need to wait for 30 minutes? It is better to wait for at least 15 minutes before starting exercises. Do we need to take it after weight loss also? Yes, once you achieve your desired weight, we recommend taking it at least once in a while to maintain the weight. Yes, you can. As all the ingredients are natural it should not have any side effects. Try it and share your experience with us. Nope, honey can affect the blood sugar and insulin levels in your body. It is better to avoid honey consumption if you are diabetic. It is better to choose any one, either capsule or direct consumption. Too much cinnamon can also cause some side effects. It is difficult to mention the time frame as it depends on fat burning and metabolism of the individual. Hi, tanx for ur truthful answers that regular exercise and proper diet are needed together with the cinnamon for weight loss. I’ve taken simply organic cinnamon and honey for over a month now but instead of losing weight and belly fat, I’m adding more. Is it ok to open the capsule and pour it into 2 tablespoons of ACV, 2 tablespoons of lemon juice and a teaspoon of organic honey into 1 cup of warm water. As per your description, we are not sure which capsule you are talking about. Is it a cinnamon capsule? Can you please mention clearly. Can i add cinnamon in black tea and lemon? You can drink or eat after 20 minutes of taking cinnamon water. I am taking cinnamon powder directly in my mouth and then drinking warm water to swallow. Is it correct way to have it???? Can I just pour cinnamon powder in a cup of hot water and drink it ,even without boiling the cinnamon? Cinnamon works,I’ve started Monday evening after I had my colleagues sharing how effective is cinnamon .I mixed one full teaspoon of cinnamon in cold water before I sleep,that was around 30 minutes after my supper meals,in the morning of tuesday when I go to work I forgot to drink it and to my surprise during the day I had a serious loose stools and was no longer feeling bloated .later before supper I drank same mixture before sleeping.On Wednesday morning I mixed it with warm water as I realised my mixture should not be in cold but to be with warm water,before lunch & supper i did the same.I didint have a full week yet I see much difference and I have not changed my diet plan yet.I will update in weeks time. Can cinnamon,ginger and lemon be taken during bedtime for weight loss . Because I couldn’t take it in the morning. . will it help in weight loss ? Can I eat Cinnamon sticks directly? Can we boil cinnamon with lemon , ginger and cumin for weight loss? Got it. I think you’re right. Would it be bad if you take the cinnamon water in the afternoon but on an empty stomach, like even when you didn’t eat breakfast? You can drink cinnamon water on an empty stomach —it’s great for weight loss. While it’s best to take cinnamon water on an empty stomach before breakfast, it’s alright to take it before lunch, if a late lunch is going to be your first meal of the day.